The band program at St. John Catholic School starts in fifth grade and carries on to eighth grade. In the state of Georgia, as in most states, middle school honor band auditions are only for grades sixth through eighth. With our students having that extra year of experience, they can begin the journey of participating in honor bands with a well-established foundation a year earlier than the other middle school band students. Students have attended District, Region, and All-State Honor Bands. Band classes meet four times a week for 50 minutes. During that time, students learn various elements that are in line with the National Music Standards.St. 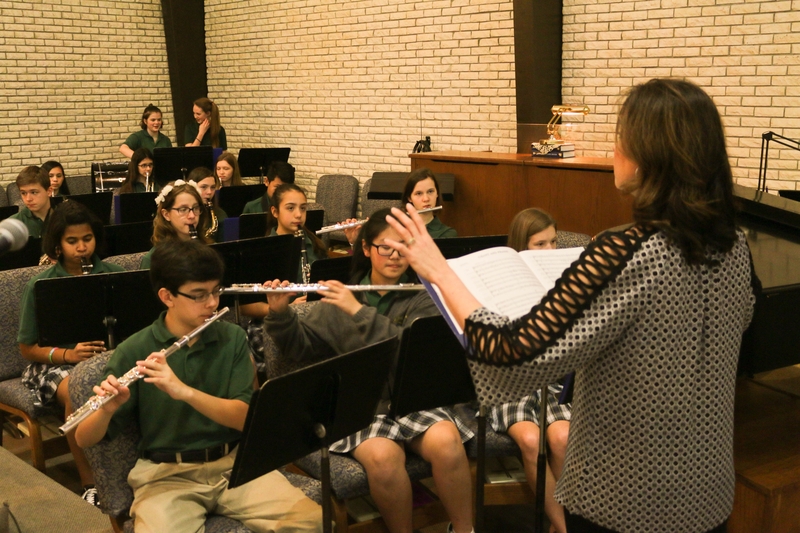 John Catholic School is the only Catholic school in the Diocese of Savannah with a band program. This is an amazing accomplishment given the rigor of academics at SJCS. The band program continues throughout the middle school at St. John Catholic School with performances at Christmas, Spring, Catholic Schools Week Mass, All Saints Day, and other possible masses at St. John Church. Students also participate in Solo & Ensemble Festivals where individual students perfect and perform for a judge for a rating. Every band student at St. John Catholic School has received either a superior or excellent rating.